by Christian Lauba. A Brand New! 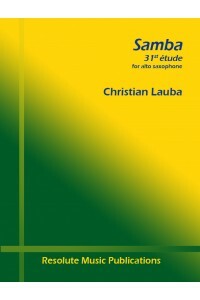 etude for solo alto saxophone, dedicated to Simon Diricq. 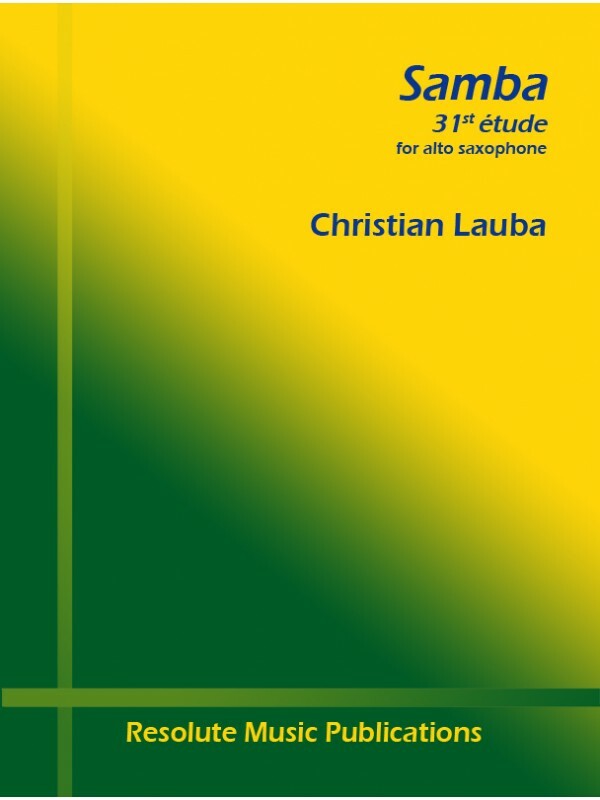 Based on a samba rhythm, this exciting new etude employs a variety of multiphonics, slap-tonguing, (limited) altissimo, and circular breathing. Fingerings for multiphonics are provided in the score. The notation is very rhythmic and accessible to a wide audience.